Obituary for Gwendolyn Miles | E.F. Boyd & Son, Inc.
Gwendolyn Miles was born October 3, 1948 in Birmingham, Alabama to Robert and Corinne Miles. She was the youngest of 12 children born to this union. Nine preceded her home to be with the Lord. Gwendolyn attended school in Birmingham, Alabama until age 15. She moved to Cleveland Ohio to be with her older sister. She was baptized in Birmingham at a young age and believed God to be her Lord and Savior. She worked at various factory jobs to help provide for her family. She met Robert E. Jones in the early 1960's and dated for many years until marriage in the early 1970's. No children were born to this union. However, she enjoyed spending time with Robert's five children from another union. He preceded her in death in 1999. Gwendolyn had three children; Rhonda Miles Benoit, Mark Thomas, whom preceded her in death, and Hassan Miles. She enjoyed family gatherings, doing word puzzles and playing Bid Whist. She also loved watching the NBA games and her favorite t.v. shows, The Haves and Have Not's and If Loving you was Wrong. She loved listening to her Gospel music the Williams' Brother's. She was a very loving, giving and kindhearted person. She was always willing to help anyone who was in need. 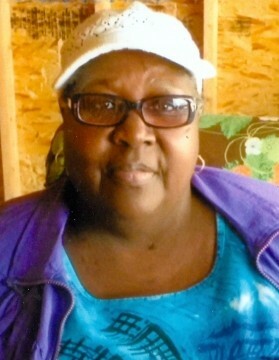 She leaves behind two children; her loving daughter, Rhonda E. Benoit (Wildon) of Cleveland, OH and son, Hassan K. Miles of Cleveland, Ohio; sister, Gloria Ware of Birmingham, Alabama; one brother, Charles Miles of Buffalo, NY; four grandchildren, Hassan Cowlins, Carvelle Cowlins, Ryan Curry, Marquis Maxwell.